At Bridge Tool & Die, Inc. we pride ourselves on excellent manufacturing and customer service. The pinnacle of our services lie in carbide grinding. 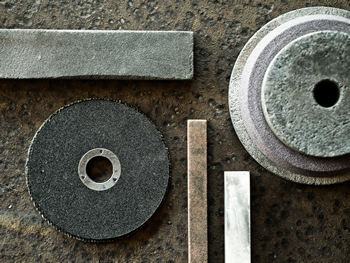 By utilizing diamond grinding wheels we are able to to achieve reliable and consistent results for our customers. Our particular expertise is in cylindrical carbide tooling. These pieces rang in size from .150" to 12" in external diameter. Also, our CNC grinding technology sets us up to work with our customers on high and low volume projects with pricing that challenges the industry norm. We also operate Diequip machines to produce ultra narrow wire straightening dies. Ultimately if you're looking to extrude, stamp, or roll form anything with carbide we will be your one stop shop for all your carbide tooling needs. Our company has over 100 years of combined experience in precision machining and grinding services. We are quality minded and ISO 9001:2008 certified. We have a full range of precision grinding equipment and our experienced staff is professional, friendly, and responds to requests and quotes quickly and efficiently. We would be happy to connect with you to work on streamlining your tooling or to launch a new product line.